Starting from North Korean leadership change, to Gangnam Style spreading over the world and finally the presidential election in December, 2012 has been a dramatic year in South Korea. Here are the top seven Korean stories which created major social media buzz this year. Korean rapper, Psy's Gangnam Style video went truly viral, starting from mid-July and has continued dominating online space worldwide over the year. It has recently became the first-ever Youtube video to hit 1 billion view, bringing tremendous fame to Psy and creating various memes and parodies internationally. Read how Koreans reacted to Psy's unexpected success, the ten 10 parodies and even the Gangnam-inspired activist videos. As the North Korean dictator, Kim Jung-Il died of a suspected heart attack on Dec 2011, the young successor, Kim Jong-un, was nominated as the next leader of the hermit kingdom, North Korea. 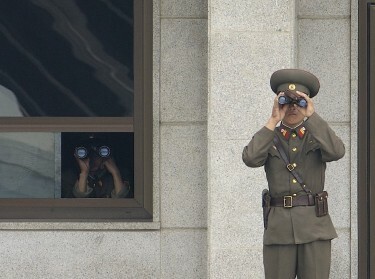 The young Kim has continued his father military rule and the brinksmanship strategies throughout the year and tried several satellite launches, one in December and a previous one in early April, which has invited international blame for both increasing already heightened tension in the East Asia region, but also for ignoring mass starvation of its own people. Many media organizations claim the launch in December was successful and bloggers came up with their own analyses. A prominent North Korean tech blogger wrote about how the satellite can be tracked and concluded in his latest post, though its in the right orbit, the satellite might be not be fully-functional. Through the December 19 presidential election, Park Geun-hye, the former dictator's daughter, was elected the next president and the first-ever female president in South Korea. Park's father, despite a dramatic economic growth made under his rule, was notorious for his authoritarian, military rule and many, as mentioned in this previous GV post, voiced worries over Park's vague stance on her father's rule. Park Jung-geun, a South Korean photographer/activist, was arrested for retweeting North Korean official Twitter account's messages in January this year, making more headlines in international news than in local news.The verdict came out in November and Park was sentenced to a suspended 10 month jail term. 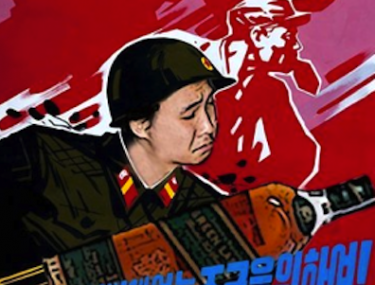 Park's Parody of a North Korean Soldier/Poster, which has spread wide across Korean web, many times tweeted and memed, Park tweeted this image (the original source/link unclear and the author did not specify/claim copyrights). The year 2012 has ridden with various walk-outs, but the media strike which continued for nearly half a year, clearly stood out amongst them. Previously, GV explained why journalists and producers of one of the the nations biggest network TV, MBC, staged mass protests against its chairman and introduced citizen's wide support for their fight. MBC chairman Kim Jae-Cheol [ko] has been accused of corruption, siding with the government on major issues and allegedly silencing critics within his company by firing or reprimanding them, as can be seen from the mass firing of the writers from MBC's signature investigative program. 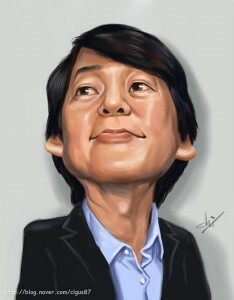 Ahn Cheol-soo, the founder of the iconic antivirus software company AhnLab, who also happens to be a doctor and a former professor and dean of the prestigious Seoul National University, dominated the nation's political news section throughout the year as he decided to run for the presidency. 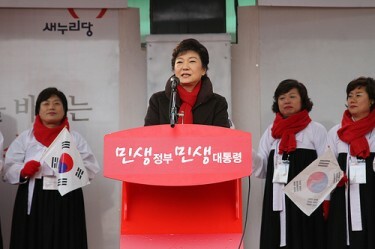 Ahn has a reputation of being apolitical and the least corrupt candidate in the nation's recent political history. His unexpected dropout of the presidential race despite his high popularity, shocked Koreans and made lot of them talk on Twitter. As the presidential election became the major course of discussion starting mid-year, there were conflicts between citizen's political activities in social media and the nation's strict, often criticized as ‘outdated’, election law. Beside the nation-wide calls for longer poll hours, lots of litigation and summons were initiated over so-called ‘illegal campaign activities’. The political podcast Naggomsu (meaning ‘I am a petty-minded creep’), famous for its investigative reporting and shrill mockery of the current President and his conservative ruling party became an easy target. This year, its influential podcasters were either being arrested, charged, or summoned for questioning over their alleged illegal campaign activities in podcasts, as GV covered, showing that 2012 has been not an easy year in the citizen's social media/online political engagement front.